Online education or also known as distance learning provides a more convenient way for students to receive a college degree without the need to worry if the college is located far away from where they live. But, there are certain scams you should be aware of in order for you to avoid receiving a fake degree that is helpless in your career. Following the 3 precaution steps explained in this article when considering a distance education program will prevent you from getting a fake diploma. It is very important to assure a college that you are interested in pursuing a distance education program is accredited by a legally recognized accrediting agency. But, diploma mills are clever nowadays as they also publish their accreditation information to make the students think they are accredited like other legitimate colleges. Hence, don’t think a college is legitimately accredited until you check the accrediting agency that performs the accreditation, make sure it is one of the regional or national recognized accrediting agencies. Be aware that the risk of getting a fake diploma will affect not only your career opportunities in the future, you may also be dragged into a lawsuit if the future employer find out you are applying for a job position with a fake degree and he takes a legal action against you. So, beware of fake diploma and avoid yourself from being a victim of diploma mills by taking some precaution steps to protect yourself. Nowadays, social networks are so common. People are talking about and sharing various things in social networks. Social networks like Facebook and Twitter can be good places to find information about a distance educational program you are interested in pursuing. Ask questions and get their opinion about the college that offers the distance education program you are interested, you will get many responses, although some comments might not be useful, but you definitely will get helpful hints to help in your decision when selecting an online college degree program. Other than social networks, forums and message boards that focus on education discussions do contain useful information about the reputation and the experience shared by other students who have taken the distance learning program at the college. 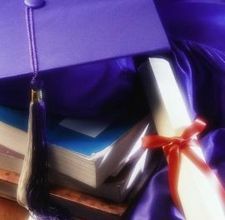 The common practice of diploma mills is, they try to make things easy and convenient for students to obtain a college degree without much effort and within the shortest period of time. Some of the degrees offered by diploma mills let the students ‘buy’ a degree without the need to spend time on study. This is a clear sign of scams, don’t get trapped. You should put special alert if the education programs are looking too good to be true such as super-low tuition fees, super-short period to complete the programs, unrealistic promises and guarantees. Although there are legitimate online education programs that offer fast-track degree programs, the students still need to put in the learning efforts in order to obtain the degrees, if they are too good to be true, they are just too good to be true, you have to check for further details before you sign-up any of these programs. Education is an important investment in your life, you should take it seriously when considering an education decision. Online education is a good option and common alternative to pursue a college degree, you just need to watch out for potential scams and avoid yourself from getting a fake diploma. Use the 3 precaution steps explained in this article to avoid yourself from diploma mills.